Bangkok, Thailand, also known as the Asian ‘City of Angels’, is full of cultural heritage, beautiful architecture and some weird stuff going on in the back-alleys as well. Bangkok was formerly one of THE most happening and most visited ASEAN country for its amazing food, shopping and affordable currency. But things got a bit shaky the last few months. I recently went on a trip with the Tourism Authority of Thailand to explore this popular tourist spot once again since all the political dust has settled. After the military coup, it’s not surprising many tourist might be afraid to visit this amazing city, but I assure you it’s totally safe and secure now. Well, as safe as it was before anyway. Here are some reasons to fly to Bangkok once again while its still not as crowded as before. Currently if you fly Thai Airways, a return ticket will cost about $350 upwards, while on budget air lines, it can be as low as $170 dollars. 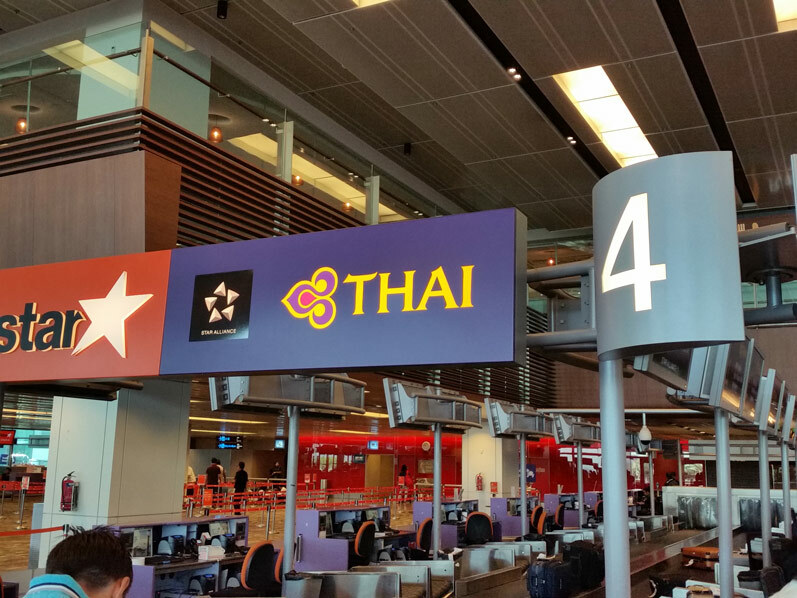 Air ticket prices are based on how much demand there is for the destination, and now is one of the best times to fly seeing as there is still some uncertainty going to Bangkok. Plane tickets are cheap, don’t miss out. Pratunam district is where shoppers can get lost in time while enjoying a maniacal buying spree. 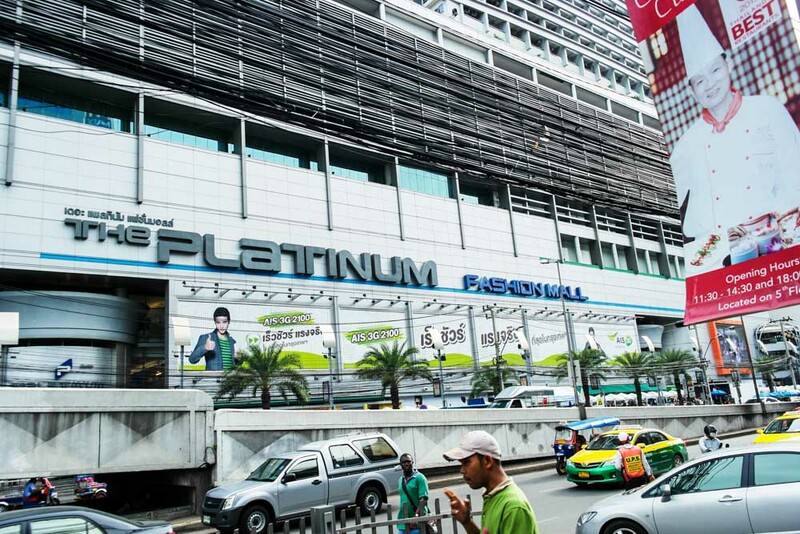 Major shopping attractions in this area all clustered together include: Pratunam market, Palladium Mall, Shibuya 19 Shopping Mall, Centralworld and Platinum Fashion Mall. 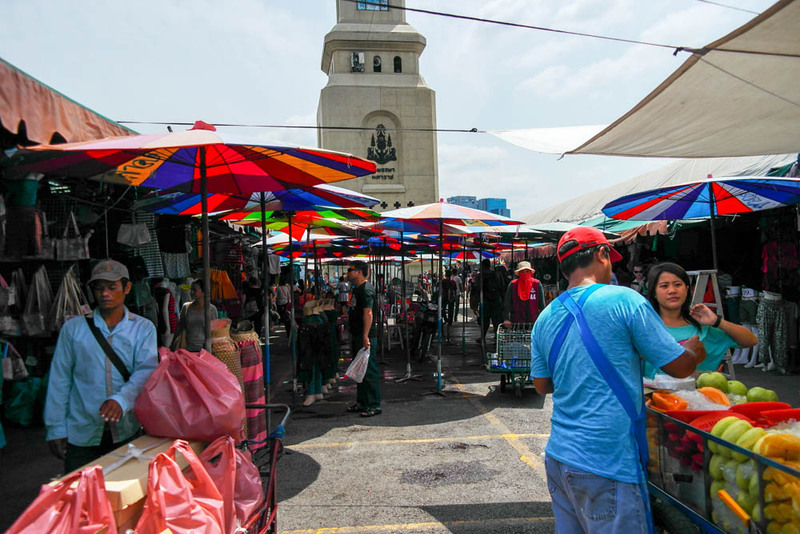 Pratunam market is an open-air market consisting of many narrow walking lanes and a wide variety of clothing, while the other malls like Platinum mall feature comfy air-conditioning selling fashionable clothing. Unlike in Singapore, everything can be bargained even in the atas looking shopping complexes. The weird thing I don’t really understand though, is that many of the malls close really early around 8 – 9pm, but fortunately there are night markets that stay open late. 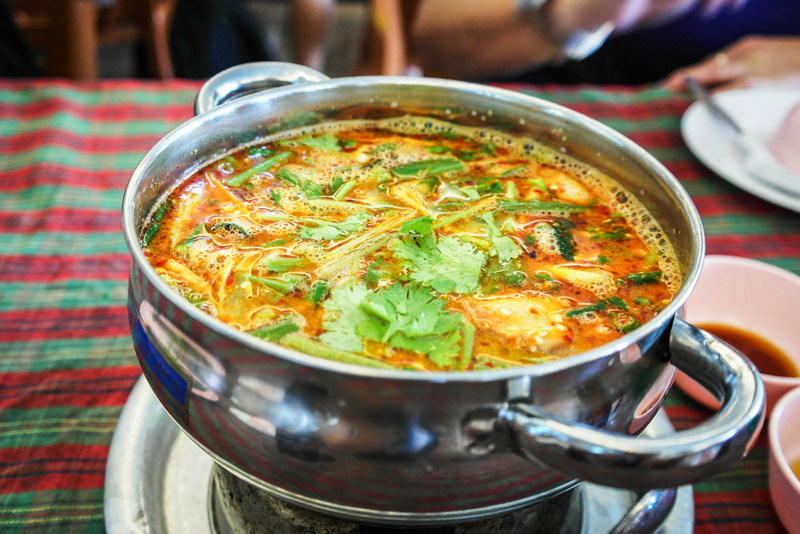 Because what’s a Thai meal without Tom Yum soup? A clear, spicy and sour soup composed of stock, kaffir lime leaves, lemongrass and a variety of other ingredients, I had this dish almost every single meal during my trip. If you can’t take spicy stuff, then don’t attempt this because in Bangkok, they only serve you the authentic hellfire version and nothing less. Another signature activity you just cannot afford to miss in Bangkok is the authentic full body Thai Massage. They stretch, they press and they squeeze the stress out of your system. 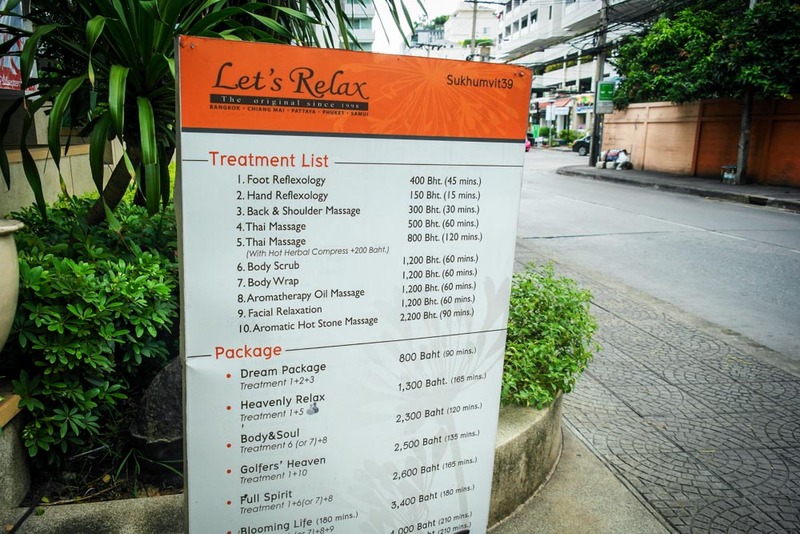 Along the streets there are many massage parlours as well, offering prices from 200 -300 baht which is really dirt cheap for an hour’s massage. 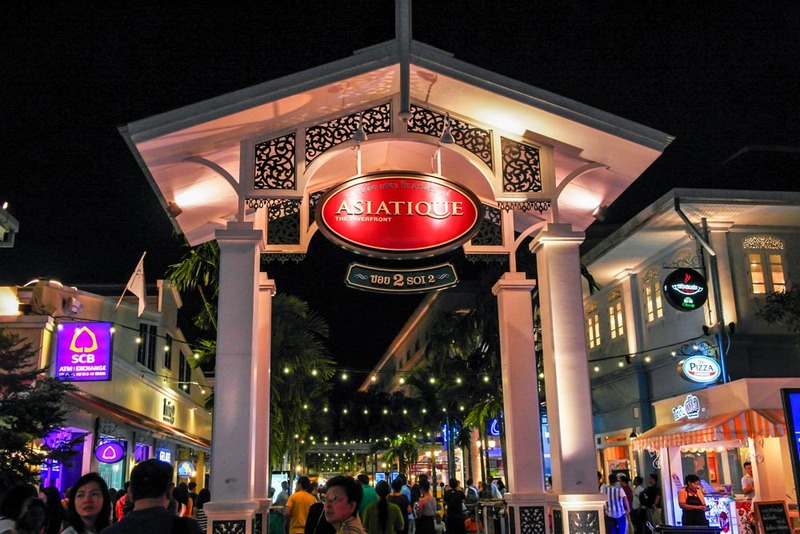 Asiatique is one of the newest refurbished night markets to open in Bangkok. This place is a massive lifestyle complex, divided into 4 districts: The Factory, The Waterfront, The Down Square and The Chareonkrung district, each having their unique features of shopping stalls, restaurants and bars. 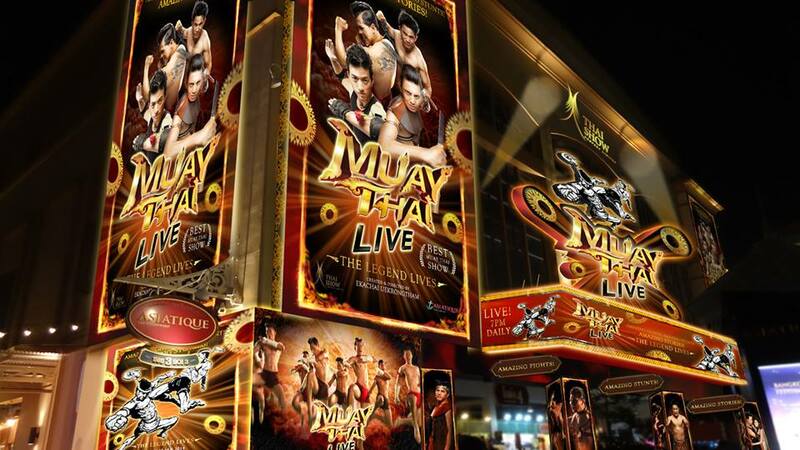 One of the shows played in the Asiatique theatre is Muay Thai “LIVE”. Yes, it is technically a live performance but not exactly what I had in mind when visiting Bangkok. Tickets are priced at 1200 baht (~$48 SGD) onwards. Muay Thai “LIVE”: The Legend Continues tells the untold stories of the origins and heroes of Muay Thai, spanning 300 years, from the past to present day. Live stunts, countless rippling abs and fascinating stories await you in this well choreographed performance. Show starts 8pm daily. However, if you are looking for something MORE live, read on. As part of the Thailand cultural experience, there was no way I could have missed an authentic Muay Thai match. 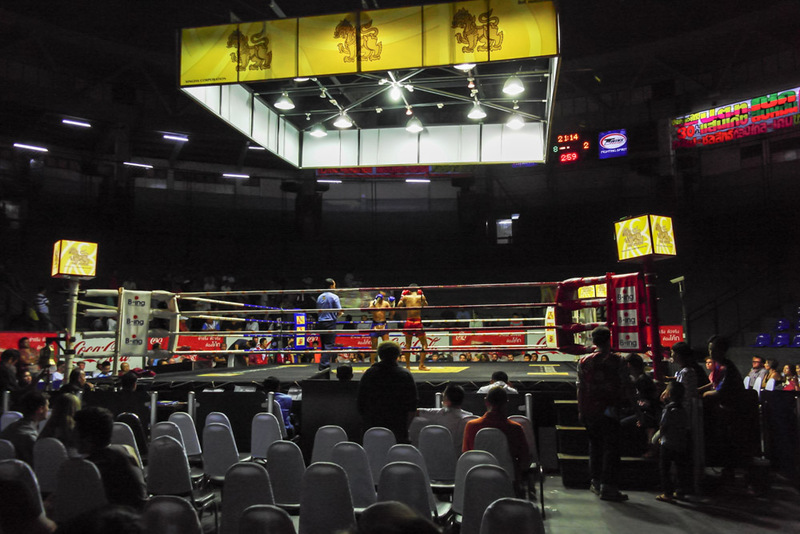 This amateur boxing arena event consists of about 7 different match-ups per night, with one main fight somewhere in the middle so as to keep people staying on to watch the whole thing. You can tell its the main fight by the heavier weight of the fighters. Bangkok locals can be seen gambling at the back, while foreigners were advised to buy the ringside tickets which costs around 2000 baht (~$80 SGD), while the back seats cost around 1000 Baht (~$40 SGD) according to how far back you are. You get a really good view ringside, and get to experience sweat platter on your face if the fighters are slugging it out near your side. Exquisite. 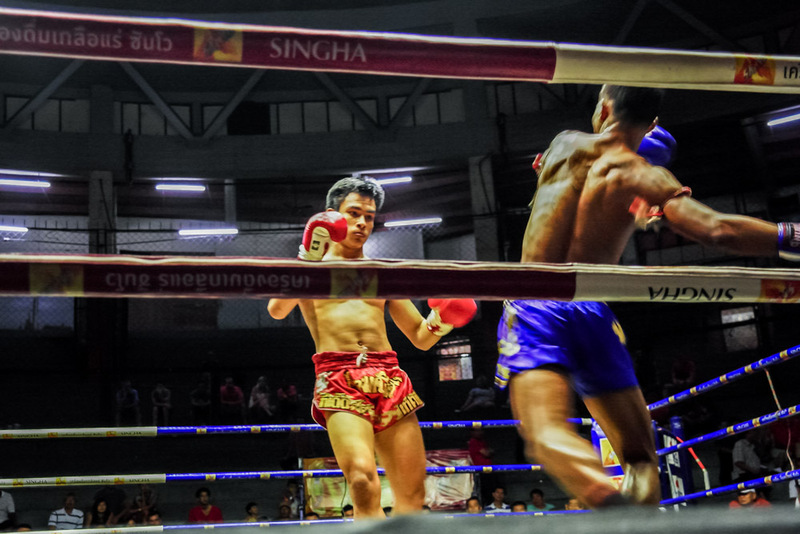 Muay Thai Boxing events rotate between 2 stadiums, and you will need to check which stadium has a match. Fried Squid eggs and Quail egg. Everywhere you go you will find street food within arm’s reach. Whether you dare to try some of the exotic or weird items is up to you. 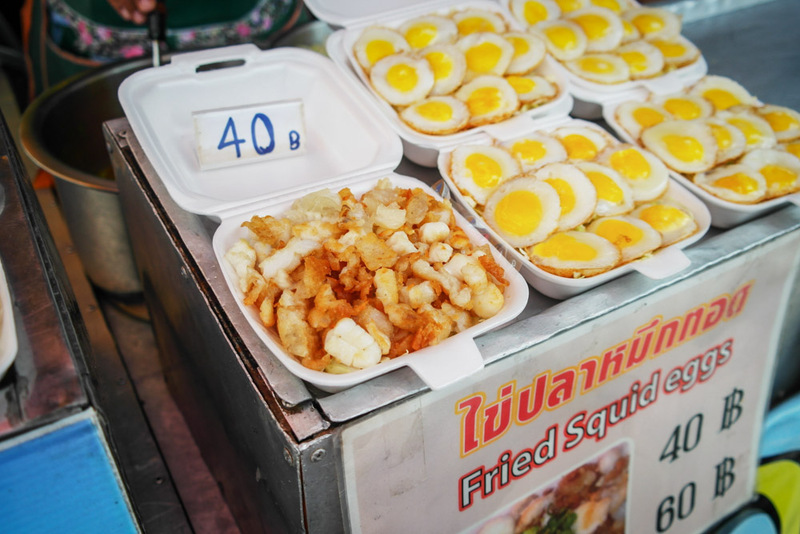 The Fried Squid Eggs for example are fried with starch and quite delicious, while fried insects make an appearance at the night markets. 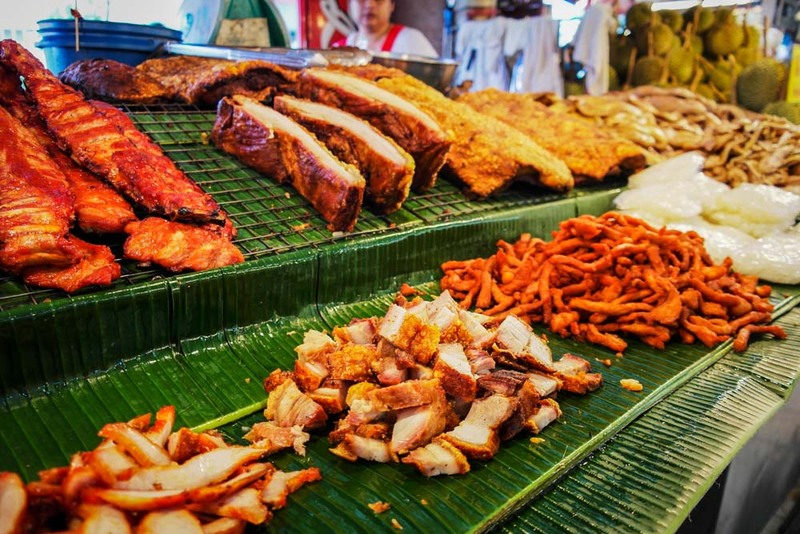 There is a mix of traditional and Asian inspired dishes all around the city. There is literally too much street food to cover and too little time. 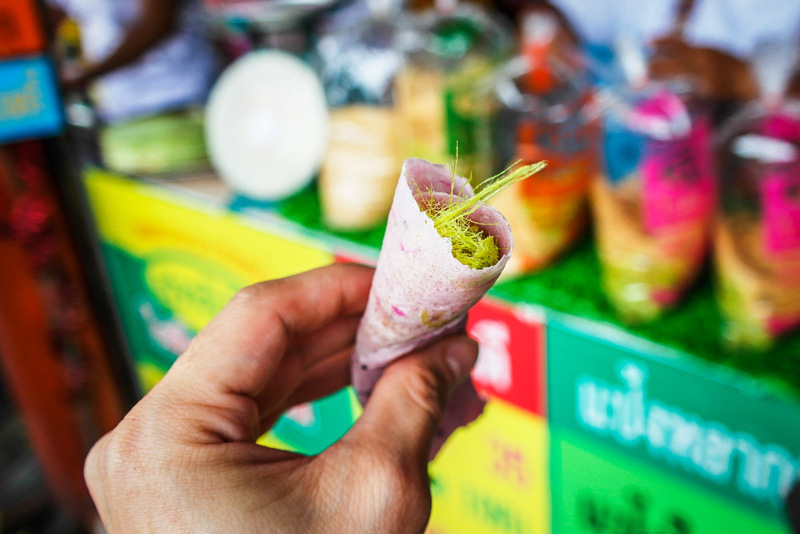 I would love to come back for a week just to cover all the street foods I missed in Bangkok. 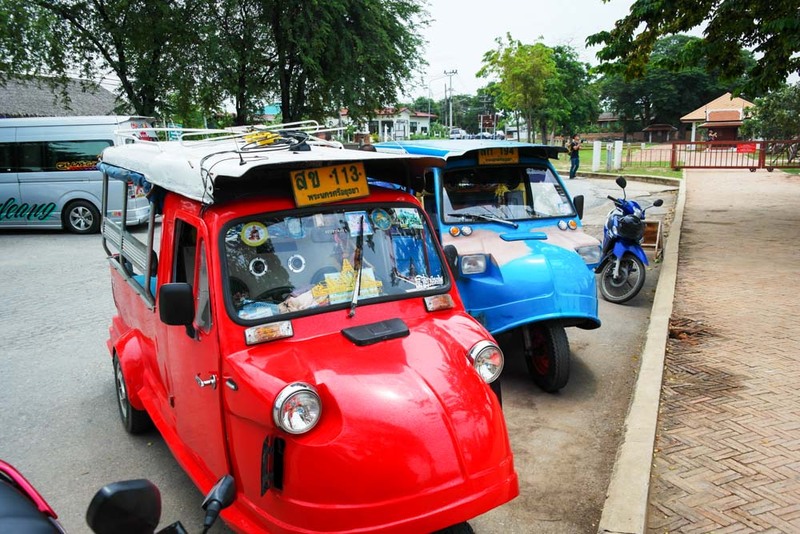 These little turtle on wheels can be seen ubiquitously on the streets of Bangkok, and many drivers will try to lure you onto their innocent Tuk Tuk. On a Tuk Tuk though, there is no fare meter and you’ll want to at least have an idea how far away your destination is, then bargain accordingly. Drivers will definitely quote you at least 50% – 100% more than what it would have cost to take a taxi. But supply is near limitless, so don’t be afraid to bargain or walk away to the next willing driver. 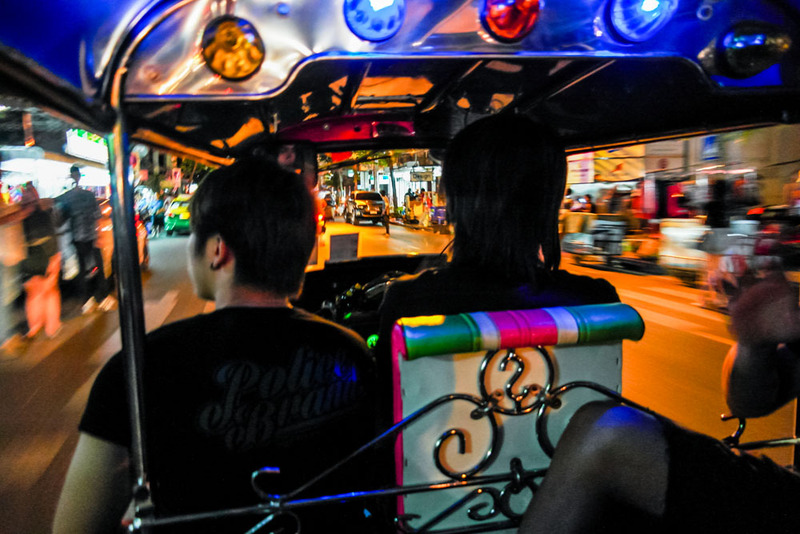 On a Tuk Tuk, you can feel the wind on your face, the potholes on the road, the thrill of riding without a seat belt and being close to certain death. A very enjoyable experience if not for the fact the drivers are mostly trying to overcharge uninformed tourists. 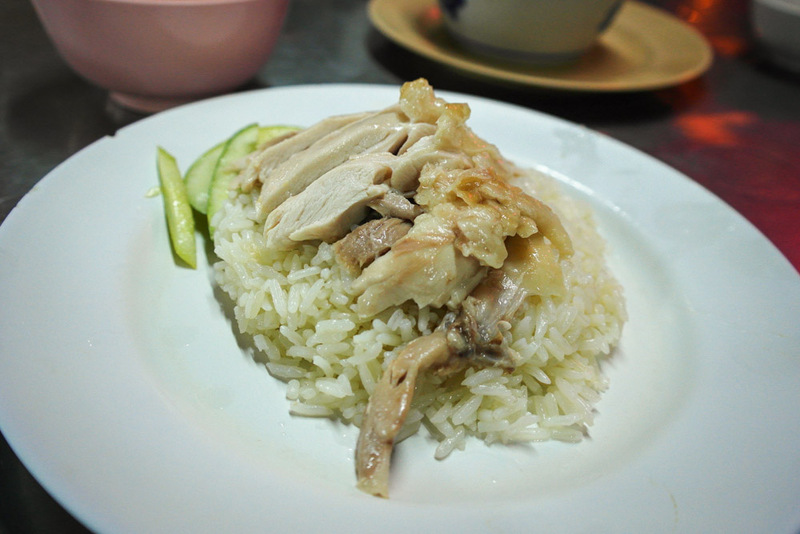 Right across from Platinum Mall is a Hainanese-style chicken rice stall, right here in Bangkok. Say what? If you miss Singapore already, this is a good spot to go for your chicken rice fix where you’ll see many other home-sick Singaporeans. Coming from the national land of Chicken Rice, I’ve to say this stall is not too bad really. The meat is tender while their sweet and spicy dark sauce is quite similar to what we have in Singapore. The rice is a bit stickier but still works with the chicken. Portions are a bit small though, so make sure you order the large size. Or 2 plates. The Chinese bittergourd soup is excellent as well to order to compliment your chicken rice. Candy Floss Crepe. The sugar is flavoured with Pandan, while the crepe bread can come in a variety of flavours like strawberry, banana or sesame. 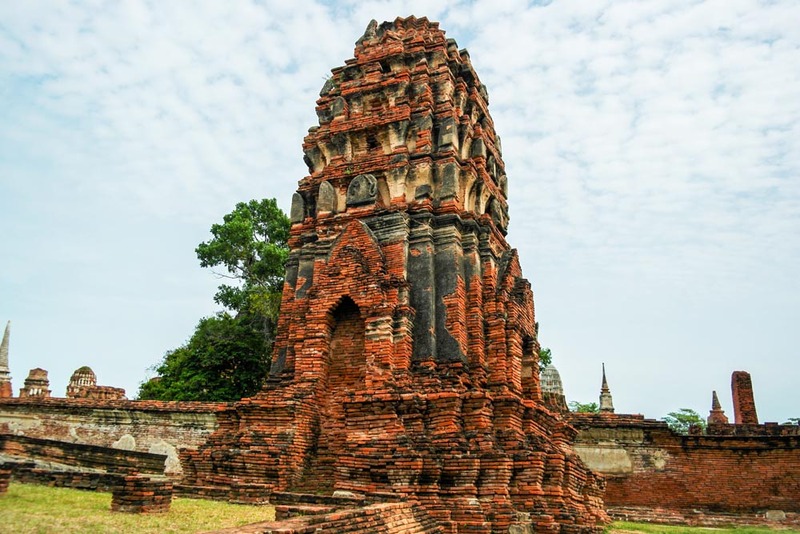 About 1.5 hours drive away from Bangkok, Ayutthaya became the second Siamese capital city after Sukhothai and is a UNESCO World heritage Site. However in 1767 the city was destroyed by the Burmese army during the war. Today, only a few remains might give a glimpse of the impressive city they must have been. Its remains are characterized by the prang (reliquary towers) and big monasteries that many wealthy families built in the past to have a personal space to educate their children (education was done in temples in the past, not schools). You can take an overnight cruise from Bangkok to Ayutthaya via the river, or its about a 1.5 hour taxi ride from Bangkok which will cost around 1500 baht ($60 SGD). 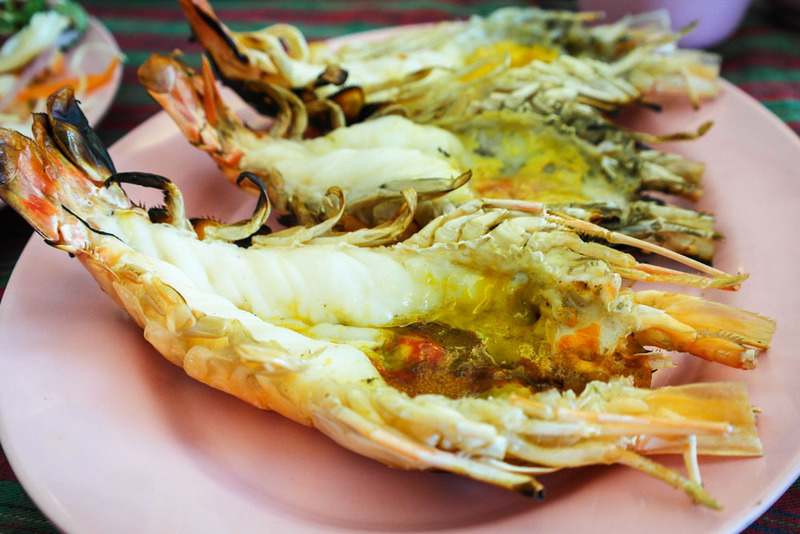 Cycle around the country-side, eat local giant river prawns as well as savour Ayutthaya Candy floss crepes sold by the road side. There is also an elephant show called Elephantstay for you to interact and play with elephants. 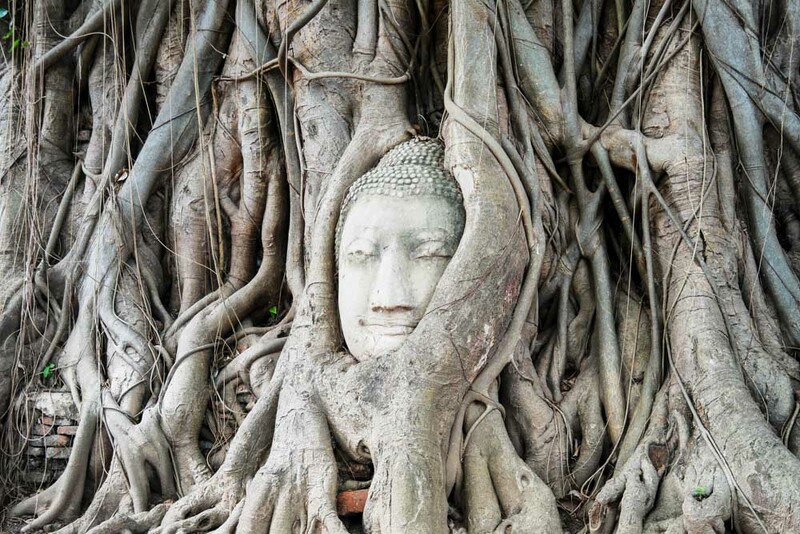 But the main attraction of coming to Ayutthaya is probably to visit the UNESCO heritage sites. The remaining relic of a great monastery of the past. If you are into architectural design, it might be interesting to compare how the old temples were built, the materials used and design, compared to the newer temples. 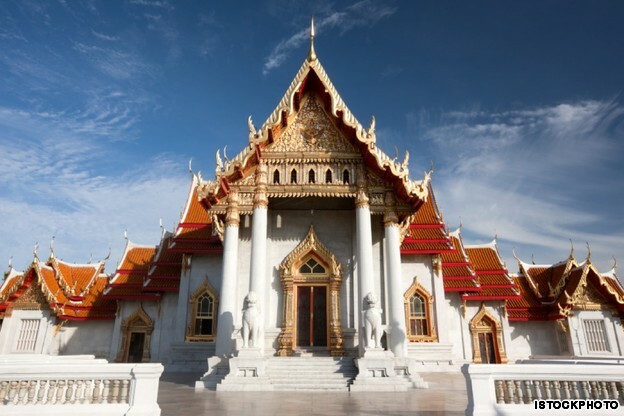 A temple in Bangkok made out of marble imported from Italy. Materials, processes as well as culture has shifted and can be seen reflected in these magnificent architectural buildings. Bangkok undoubtedly has one of the best night scenes in Asia. If you like to shop till you drop non-stop, countless night bazaars are available. If you are a party animal, neon-lit clubs and bars with cheap alcohol are at your finger tips. 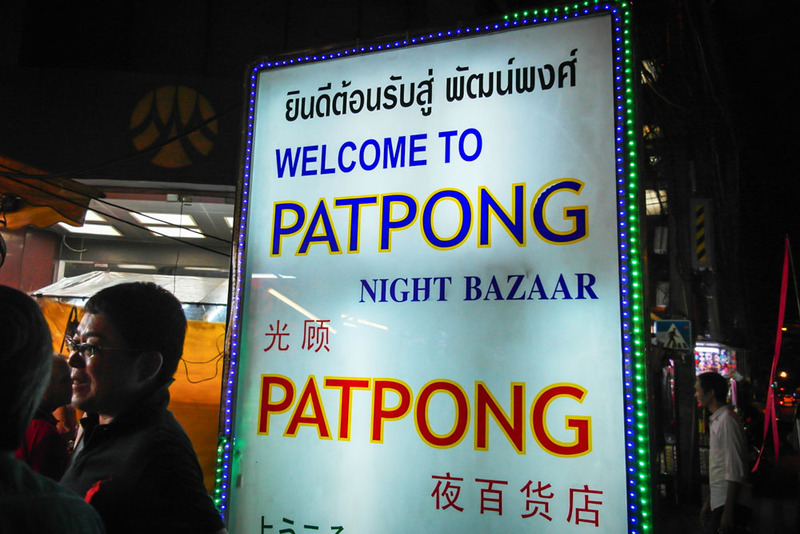 For the more open-minded adventurer, Patpong district is where you will find the infamous Tiger/Thai Girl/Ping Pong shows. Attending to a couple of these shows as part of my research (ahem), prices range from 300 – 500 baht ($12- $20 SGD) per show even though the sign always says no cover charge. The more expensive ones offer more… …dramatic effect, and I would recommend paying that bit more. Note that the Tourism Authority of Thailand does not endorse these unusual exotic activities, but because I’m a maverick, I recommend seeing this show just once in your life to observe the limits of the human physiology. Just opened in 2014, ONYX night club is inspired by Zouk Singapore and Octagon Seoul. The club features the KUVO system – world’s most technologically advanced audio visual system that incorporates a huge high-definition LED display. The club is equipped with a big dance floor and two designated VIP zones. Their Residents are an all-star cast of Bangkok’s most popular DJs, playing EDM and DJ-driven club music. 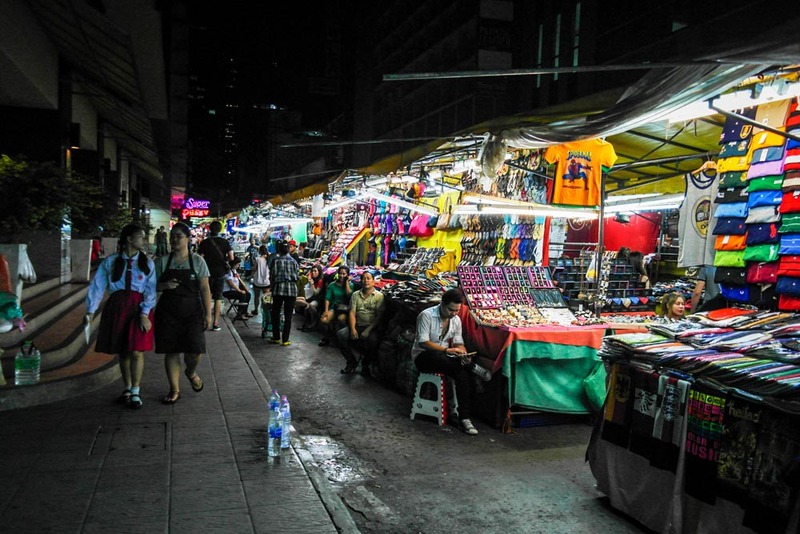 Chatuchak is Asia’s largest market with 27 sections and over 15,000 booths selling virtually everything. 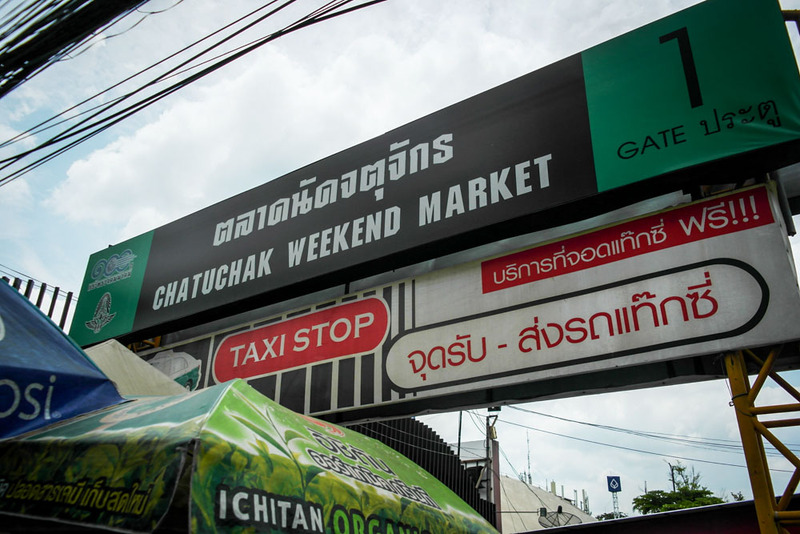 A very popular shopping spot for locals and tourists alike, if there is only time for just 1 shopping destination in Bangkok, you have to go to Chatuchak weekend market. The market sells antique wood carving, clay handicrafts, local souvenirs from every parts of Thailand, Buddhist amulets, wooden furniture, hand made decorated flowers, ceramic wares, Chinese wares, cutlery, decorated plants, stones, trendy fashions, silk, hill-tribe outfits and even fluffy puppy dogs. There is guaranteed something for everyone, and prices can be very competitive. The weekend market is open on Saturdays and Sundays, 09:00 – 18:00, and Fridays 18:00 – 24:00. 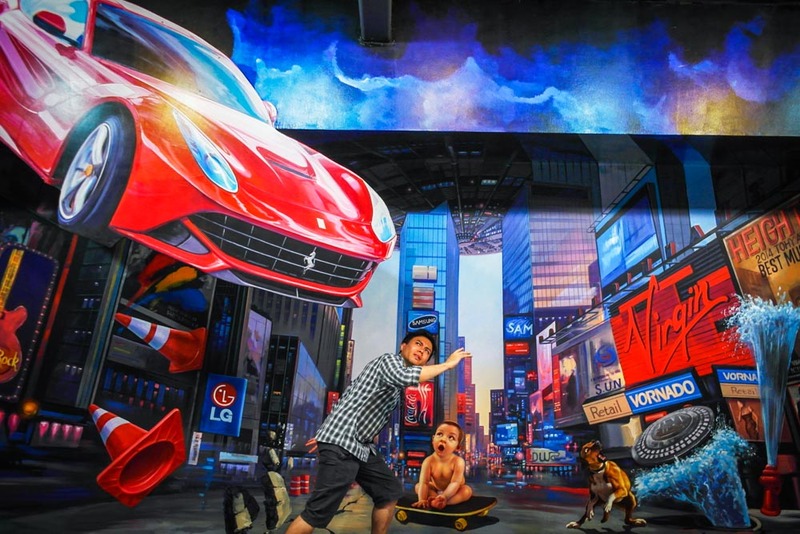 Separated into multiple large rooms each painted with impressive artworks, take turns to pose in hilarious positions in weird surrealistic situations. It might be a bit challenging to find the correct angle where the picture makes sense, but experiment around and you’ll get it. Way less crowded than Singapore’s Trick Eye Museum, tickets go for 300 baht (~$12) for an adult. Typically served in a coconut husk, this dessert deserves a spot all by itself. 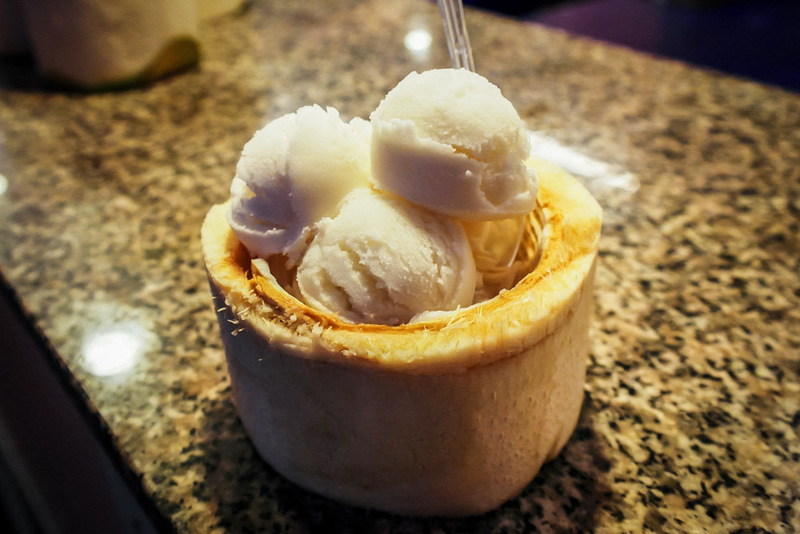 Creamy and ever so refreshing, coconut ice cream can be very addictive in the hot Bangkok weather. 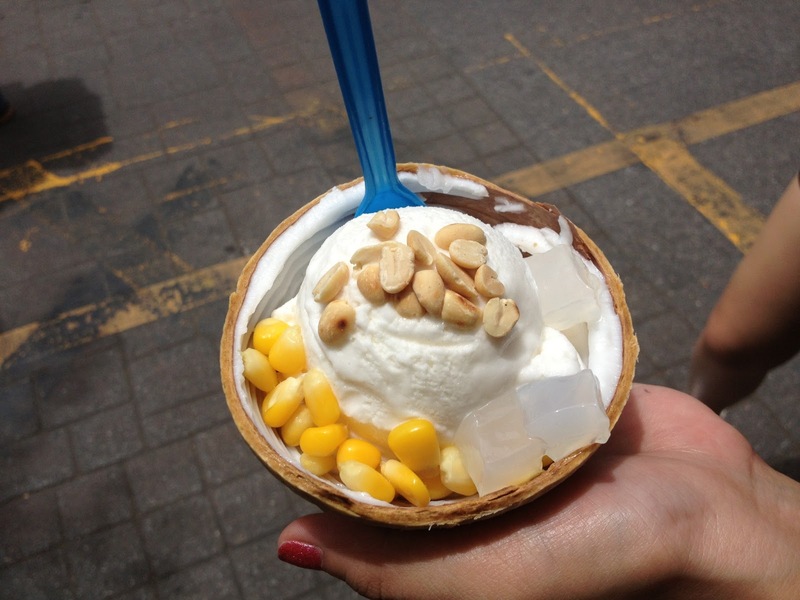 You can find this dessert all over Bangkok, but the version in Chatuchak market comes with corn, peanut and aloe vera jelly as well. You won’t want to miss this. 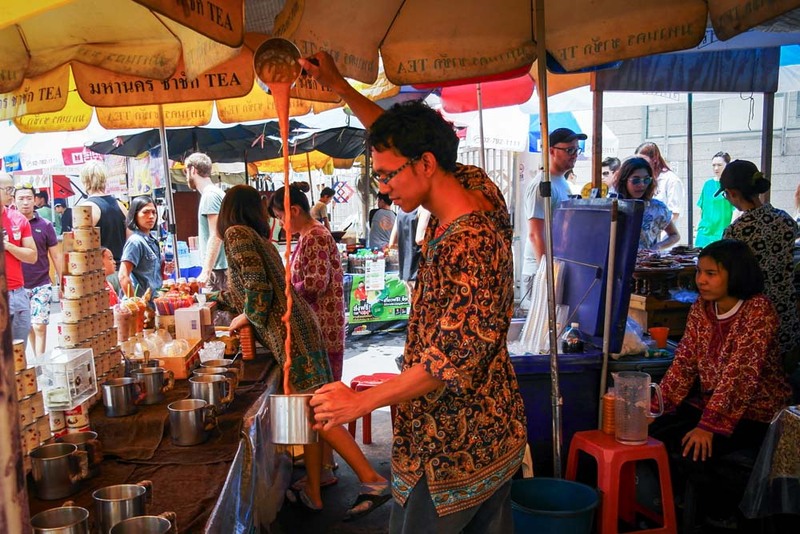 There are definitely a lot more things you can do in Bangkok, and as I visit Bangkok, Thailand more often, I will add more to this list. Let me know in the comments if there is anything new and interesting to do in Bangkok that I should include. A big thanks again to the Tourism Authority of Thailand for showing me around.